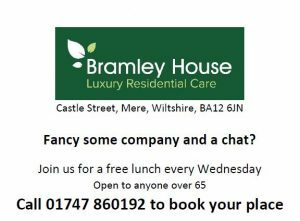 Bramley House in Mere is once again offering a free lunch on a Wednesday. Open to anyone over 65. Join staff and residents for some company and a chat over lunch. To book your place call 01747 860192.